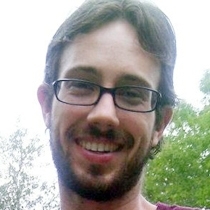 Andrew Hix says it was at the Florida School of Massage that he learned to “use his heart to fuel his hands.” As a licensed massage therapist, he says he is continually amazed by the results, which include deep relaxation, relief from pain, increased self-awareness, and a general sense of well-being. “And my clients feel pretty good, too,” he jokes. Andrew says he views his practice as an opportunity for client education, and tries to teach all his clients the importance of finding a safe space to relax, listening to their bodies, and accepting that everyone has the power to heal through self-care.